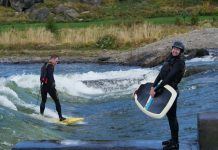 Whether you’re a novice sea kayaker trying to learn your first roll, an intermediate working to improve your roll, or advancing toward forward finishing rolls, “This is the Roll” provides the proper technique for all these maneuvers. 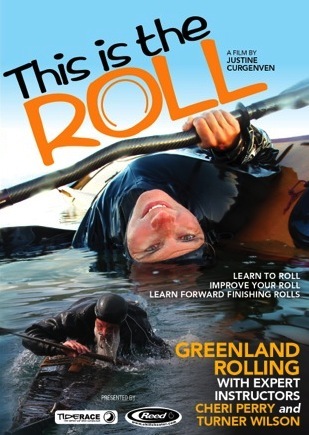 In what is billed as the new standard in how-to-roll DVD’s, “This is the Roll,” provides technical demonstrations on some of sea-kayaking’s hardest moves. 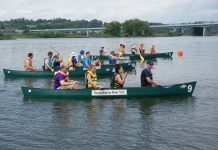 World-class instructors Cheri Perry and Turner Wilson demonstrate and teach the three most important Greenland style rolls for open water paddlers: The Standard Roll, the Reverse Sweep and the Storm Roll. Viewers are shown a complete package, including underwater footage, so that rolling up is possible no matter the conditions or how the vessel capsizes. Each roll is explained in an easy to understand way and even the smallest detail of each roll is covered in the instructional segments of the DVD. The film’s underwater footage and easy-to-follow progressions are filmed in locations spanning the globe. Set in the clear waters of Italy, amid the mountainous coastline of British Columbia’s Vancouver Island, and in the chilly water’s of Wales and Scotland. 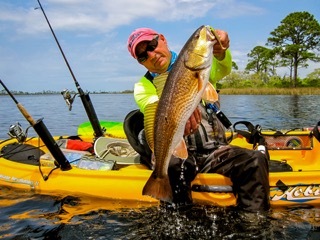 Perry and Wilson teach the proper technique to a practice that can save a kayaker’s life, while showing the beauty that can be found in different waters around the globe. Next articleBluesmiths: The Ultimate Board Short?